STO.DOMINGO, ALBAY (Jan 11) - A HEROES welcome ceremony is set to be held on Friday, January 12, to one Domingueño who went missing while fighting Maute terrorists in Marawi but later found to be dead. With the the recovery of his remains the number of government troops killed in action is now 168. The remains of Private Alejandro A.Balean will be arriving at their residence in Brgy. Lidong, here on Friday. 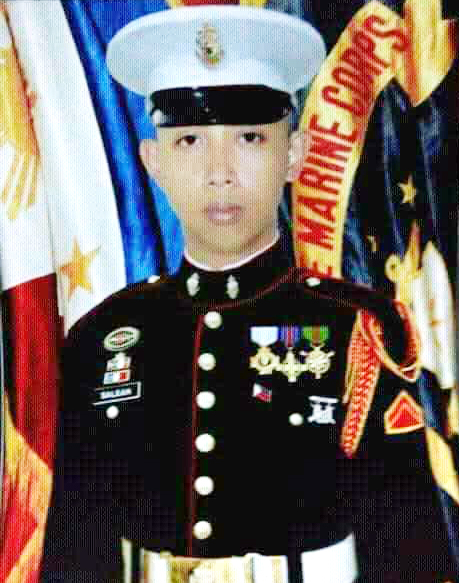 Balean was a member of the Marine Battalion Landing Team 7 (MBLT7) which encountered an undetermined number of Maute members on June 9, 2017. It may be recalled that survivors accounts disclosed that their platoon was maneuvering against the enemy when Balean fell into the Agus River near Mapandi Bridge, Brgy. Dagubdupan, Marawi City. His troops failed to fetch him out of the water due to the strong current and the volley of gunfire from the enemies.